Approximately 20 percent of the U.S. population lives in a multi-generational home, meaning three or more generations share the same household. As assisted living costs continue to rise, older Americans are choosing to move in with their children and grandkids. But instead of taking the spare bedroom upstairs, they’re moving into their own private in-law suite. What Is an In-Law Suite or Apartment? An in-law suite or apartment is a private space for in-laws and parents that is usually attached to or located on the same lot as their grown child’s house. Many in-law suites are custom-built home additions, though converted garages, basements and stand-alone guest houses are also common. These types of dwellings are also referred to as “mother-in-law” suites or granny apartments. How Much Do “Mother-in-Law” Suites Cost? The cost of an in-law suite varies by type and how much work is needed to make the space livable. Ideally, your in-law suite should include everything needed for independent living, such as a separate bedroom, living area, bathroom and kitchen. Of course, adding all of these elements is expensive, with one financial expert putting the cost somewhere between $40,000 and $125,000. As steep as that may seem, the one-time cost to build an in-law suite pales in comparison to the annual cost of assisted living communities. A MetLife survey from 2012 determined that the average cost of a private room in a nursing home was $90,500 annually. Semi-private rooms weren’t much cheaper, averaging out to $81,000 per year. In the long-run, the cost of an in-law addition is almost always less than the alternative. And money aside, being surrounded by family is better for their well-being too. Your local building codes will determine what you can add to your in-law suite. If you’re looking into building an addition, you are usually limited to a bedroom, bath, small kitchen and sitting area. Adding a full kitchen or separating the unit from the main home will require either separate permits or may even be banned by local zoning rules that prohibit residential areas from building rentable properties. Living on the property where the suite will be built. An outside entrance into the dwelling separate from the house. Separate water and sewer connections, though most municipalities allow three total plumbing connections with one sewer permit. Access to off-street parking, such as a garage or driveway. As with real estate, in-law suites are all about location, location, location. 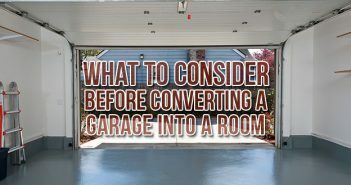 Depending on what’s allowed in your city, you could convert your garage, attic, basement or even your porch into a suite. For home additions, the best spot to build off of is an underused room on the first floor, ideally located near an existing bathroom. Need to clear space for your in-law suite? Call 833-499-7507 and rent a dumpster for decluttering. Separating your in-law suite’s utilities from the main house will allow you to switch them off if the space ever goes unoccupied for a long stretch of time. And if you end up renting it out to another occupant down the line, you can easily split the bills. Does your new guest have any special needs, such as wheelchair accessibility or grab bars for the bath? Your in-laws probably plan on aging in place once they move in. Be proactive and make sure their new accommodations are made to age with them. This includes installing pull-out drawers, shower seats, adjustable sinks and other appropriate amenities. Need to make your home more accessible? Look for a contractor who has built in-law suites before and is a certified aging-in-place specialist. Contractors with this designation can be immensely helpful during the building process, providing advice and design ideas to make your in-law addition as functional as possible. The National Association of Home Builders maintains a searchable database of members who have earned their CAPS designation, allowing you to easily find a specialist near you. After all the planning and construction is over, make sure you take time out for your family. Having your in-law or parent in the house is a great time to reconnect and bond with them. And it’s a great time for them too, especially if they have grandchildren to play with – no pressure, of course! 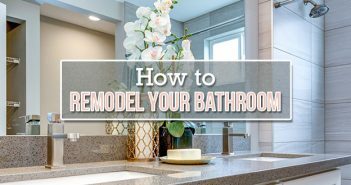 Building an in-law suite in your home? 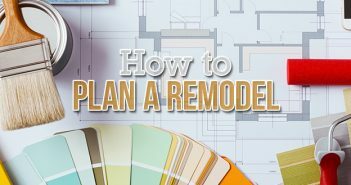 Don’t leave debris removal out of your remodeling plans. I’m interested in either adding an addition or adding a small home on a double lot for my father to reside in, I’m not sure of my options?